Reliance Precision, supplier to the global defence and scientific instrument sectors, is currently implementing a phased programme of customer focused investment in manufacturing and metrology equipment. Quality has always been the driving force for Reliance; recently, in response to an intensely cost driven market, the company set itself the twin tasks of remaining commercially competitive while simultaneously increasing quality requirements and performance. To achieve this, there has been an investment in high value equipment that effectively reduces production time and increases accuracy. Innovation in machine tool technology means hard turning of materials up to 68 HRC which enables finish machining of parts in one set up, giving greater accuracies, especially on features such as concentricity, squareness and roundness. Using a Hembrug lathe it is now possible for Reliance to achieve the most demanding of tolerances and surface finish specifications without the need for additional operations. Shorter cycle times and fewer processes mean production can be up to 4 times faster than when using traditional methods. Milling capability has also been enhanced with a Hermle 4 axis machining centre equipped with ‘in-process’ measurement and ‘in-cycle’ System 3R pallet loading; again, able to deliver fast, accurate and cost saving solutions that will ultimately benefit customers. 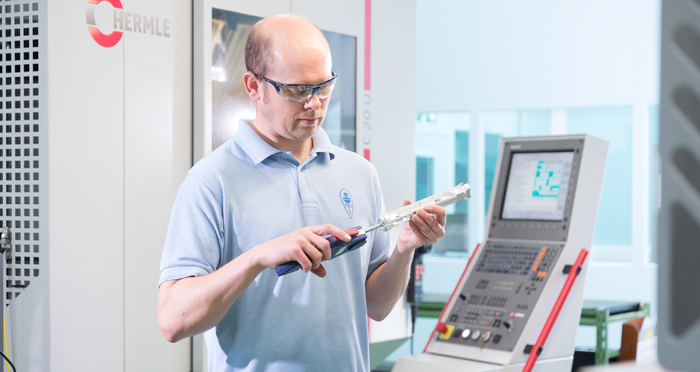 To complement Reliance’s advanced machining capabilities, more exacting components are accommodated using a Zeiss CMM. This sub-micron resolution Co-ordinate Measuring Machine has been housed within a specialist metrology lab. In line with Reliance’s policy of maintaining thermal stability within production areas, the instrument is located in a laboratory held at 20°C +/- 1°C. Reliance has an exemplary record of supplying customers with precision components and assemblies. With an enviable reputation for on time delivery, quality products and customer centred support, this series of progressive investments will ensure Reliance remains a strong industry supplier. New, as well as established, customers can continue to approach the Reliance brand with familiar confidence.